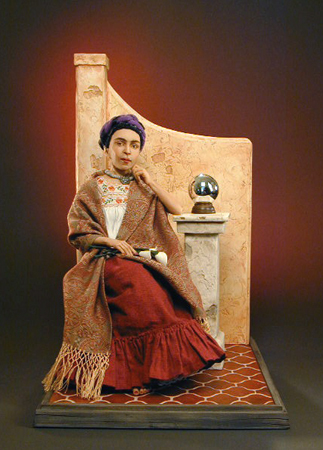 Her visions were her own that she shared with the world, all our lives are more interesting because of Frida Kahlo. One of a kind Art Doll, sculpted in Quality Polymer Clay and hand painted. Adobe Wall is Air Dry Paper Clay...floor tile is hand cut wood, hand painted.